Will US make a decision to send troops to Colombia till the end of February? New developments around Venezuela seem to emerge given the confidential information disclosure during the briefing at the White House. 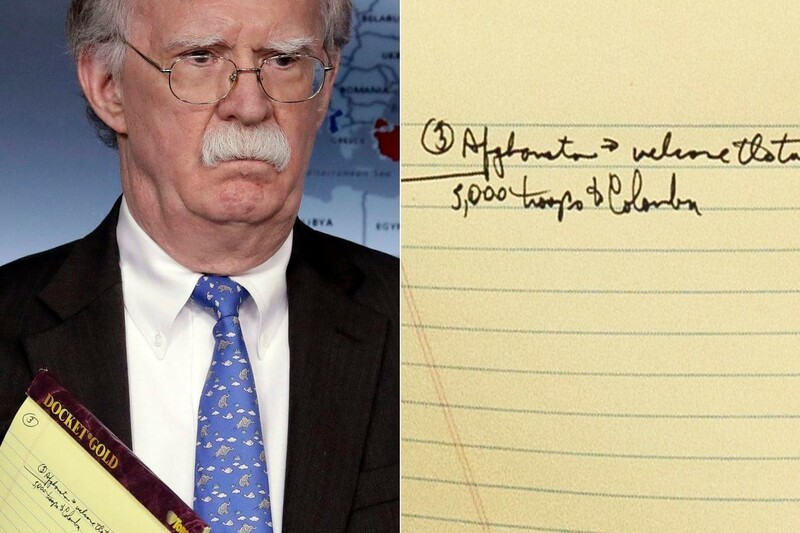 While announcing sanctions against Venezuela, US National Security adviser John Bolton disclosed secret information regarding possible US troops allocation in Colombia. The content states the following: "Afghanistan->Welcome the Talks" and "5000 troops to Colombia". The White House neither denies nor confirms the possibility to make decision of sending troops to Colombia amid the crisis in Venezuela. Moreover, US Administration points to Trump's recent statement of "all options are on the table" regarding Maduro's regime.